Has contributed to the socio-political development of Nigeria and maintains that, “the man dies in all who keep silent in the face of tyranny” and considers “justice… [as] the first condition of humanity”. 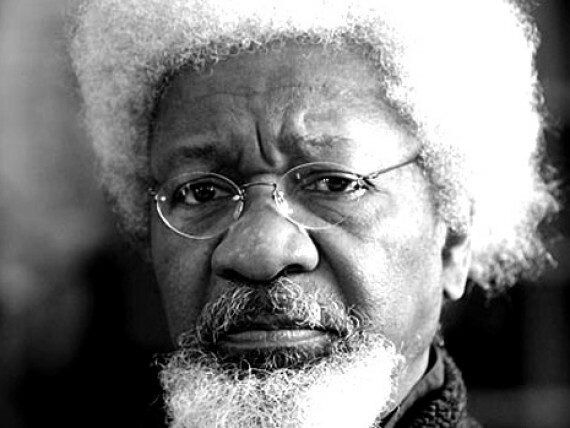 Wole Soyinka was born on 13th July 1934 near Abeokuta, Nigeria. He attended Government College, Ibadan, University College Ibadan (where this organization was formed) and University of Leeds where he received an honours degree in English in 1957. In 1958, he produced the play The Swamp Dwellers at the University of London Drama Festival. That was the beginning of what was to become a highly accomplished career in the world of literature. In February 1959, he produced The Swamp Dwellers and The Lion and the Jewel. In November 1959, he wrote, produced and acted in “An Evening without Décor,” a medley of his work which attacked racism and colonial oppression in Africa. In 1960, he returned to Nigeria. In March 1960, he produced The Trials of Brother Jero. In May, he acted the role of Yang Sun in The Good Woman of Setzuan. In October 1960, he wrote, directed and acted in A Dance of the Forests with his own acting company, 1960 Masks. Between 1961 and 1964, he directed plays by other playwrights including The New Republican and Before the Blackout. Between 1961 and 1962, he was a Rockefeller Research Fellow, attached to the English Department of the University of Ibadan. During the period 1962 to 1963 he became a lecturer at the Department of English at the University of Ile-Ife. From 1965-1972, he wrote, produced and acted in a number of stage plays including Kongi’s Harvest; The Detainee; The Road; Mad Men and Specialists; and A Shuttle in the Crypt. In 1972 he published his prison notes The Man Died. Arguably, the work has had the most controversial and far-reaching impact on both literary and political terms. In 1973, he was awarded an honorary doctoral degree by the University of Leeds. In 1973, he became Professor of English. Thereafter, a string of literary works were to follow. In 1976, he was Visiting Professor, University of African Studies, University of Ghana. In 1981, he published his autobiography Ake – the Years of Childhood. He also published Opera Wonyosi, an adaptation of Bertolt Brecht’s Three Penny Opera. In 1986, he was awarded the Nobel Prize for literature. In 1992 he received an honorary doctoral degree from Harvard University. In 1994 he published a further autobiography Ibadan: The Penkelemes Years. In November 1994, his openly critical commentary of the Abacha government forced him to flee Nigeria. In 1995, he wrote The Beatification of Area Boy. In 1996, he published The Open Sore of a Continent; a Personal Narrative of the Nigerian Crisis. It records the history of Nigeria from its independence in 1960 until the regime under Abacha. His departure from Nigeria saw him being charged by the Abacha government with treason. Were the charges and circumstances not very serious, they would have been at best, comical and unsustainable. The charges were dropped following Abacha’s death by his successor, Abdulsalami Abubakar. He returned, rightly, heroically, to Nigeria in 1999. His lifetime accomplishments have seen him receive a wide range of recognition. He has been honoured with doctorate degrees by several universities, including Leeds, England; Yale, Harvard, and Moorhouse College in the US; Toronto, Canada, Montpelier, France; and Bayreuth, Germany. He is a Fellow of the Royal Society of Literature, UK; Fellow of the Academy of Arts and Letters, Germany and Fellow, American Academy of Arts. He is a member of the Modern Languages Association of the USA; the Ghana Association of Writers; The Pan African Writers Association, and the Association of Nigerian Authors. He has been honoured nationally and internationally with the titles of Commander of the Federal Republic of Nigeria; The Akogun of Isara; The Akinlatun of Egbaland; Commander of the Order of the Legion of Honour, France; Commander of the Order of Merit of the Italian Republic and the Vareia Award of Cuba. Aside from his literary accomplishments, his worldwide recognition has come about because of his contribution to Nigeria’s political development far beyond his literary accomplishment. Throughout his life, he has remained committed to the values of human freedom, truth and justice. His capacity to comment upon, not simply to write about social injustice in his creative work and political commentary has earned him the respect of the world at large. His deep-rooted concern with the quality of public life has underlined his participation in the social scene. He has attacked what he calls the “colossal moral failure” that has pervaded the Nigerian nation for decades. He maintains that, “the man dies in he who keeps silent in the face of tyranny” and considers “justice… (as) the first condition of humanity”. He has always believed that his own innate talent manifests itself in the form of books and all forms of writing which has “…always been the objects of terror to those who seek to suppress the truth”. His active and energetic concern for his country has remained undiminished over the entire period of his life. He has always been and remains a stern, vocal and unrelenting critic of social injustice, wherever the perpetrators might constitute themselves. He roundly criticized the Yakubu Gowon’s Military Government in his work The Man Died (1972), just as he did Shehu Shagari’s civilian government in Priority Projects (1982) and Sani Abacha’s military rule in The Open Sore of the Continent. His attitude has blazed and will continue to fashion a path towards the attainment of ideals and democratic principles of social justice in Nigeria. As he explains “…I have one abiding religion – human liberty”. Professor Soyinka is married with children. Read the 16th Lecture by Ekpo Nta, Esq. Read the 13th Lecture by Mallam Nuhu Ribadu Read the 9th Lecture by Prof Chidi Odinkalu Read the 3rd Lecture by Rotimi Williams. Read the Inaugural Lecture by Prof Ibrahin Iyagi Discover the 21 Lecture Editions!